I haven't done a book review for you in awhile, and I just knew I had to share this one with you. Have you read it? This book not only strengthened my faith, but it reminded me in a HUGE way of how much God loves us. 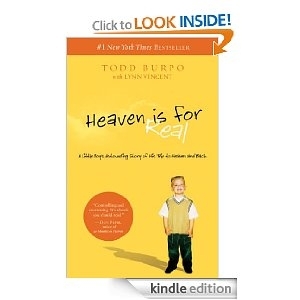 This is a true story about a little boy's journey to Heaven and all the many ways that it impacted him and those around him. I don't want to say too much because I want you to discover this book on your own. This is an easy read, but it is so powerful. If you choose to read it, I pray that you find as much hope in it as I did! I've heard from other people that this book is really good to. I'll have to make sure I read this one!